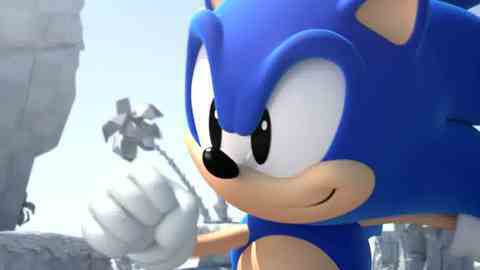 Sonic Generations coming to 3DS? Earnings report points to portable release. Sonic Generations is getting a 3DS release according to the latest SEGA earnings report. As reported by Andriasang, a slide in the publisher's latest financial update states that the blue blur's latest is heading to Nintendo's new handheld as well as PC, PlayStation 3 and Xbox 360 as previously announced. We're checking with SEGA now whether it's legit or just a typo, and will update as soon as we hear back. Revealed earlier this month, Generations is a 2D/3D hybrid due out later this year that sees modern Sonic teaming up with classic Sonic to sort out some time travel-related shenanigans. If the 3DS listing is an error, it would be the first new Sonic platformer not to appear on a Nintendo platform since 2006's PS3/Xbox 360 stinker Sonic The Hedgehog.